Most of the homeowners in Odessa, Florida, prefer to use pool heat pumps to keep their swimming pool warm. They are energy-efficient and offer maintenance-free operation without any emission or flames. Unlike solar heaters, swimming pool heat pumps offer warm water even on cloudy days. Read on to know more about how pool heat pumps work, how they are sized, and how to choose the right one for your pool. A swimming pool heat pump works just like your home heat pump, except that it heats water instead of air. The fan inside the pool heat pump draws in warm air from outside and passes it through the evaporator coil. This converts the refrigerant running through the evaporator coil into a warm gas, which is forced through the compressor. The hotter gas from the compressor moves to the heat exchanger, where it heats up the water running through a coiled tube. This process continues until the pool water reaches the set temperature. What Size Pump Is Right for Your Pool? Accurate sizing is important, especially if you have a large pool. A heat pump should match the size of your swimming pool in gallons. Some manufacturers mention the pump size in BTU, or British thermal units. A 50K BTU heat pump can cover pools below 12,000 gallons. 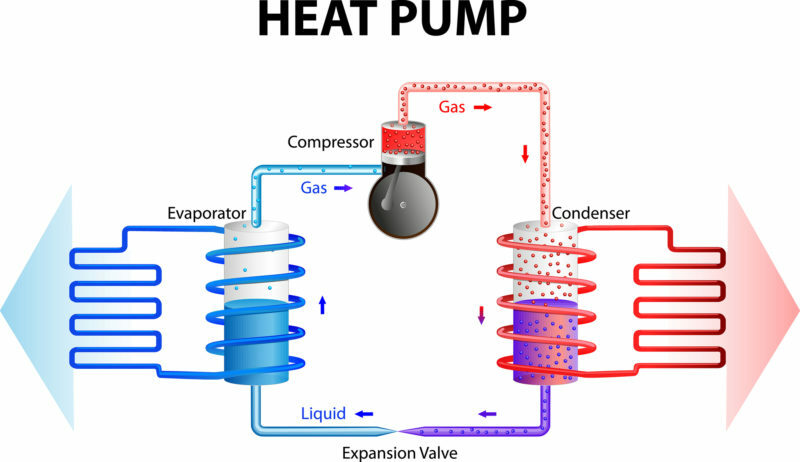 Larger-sized pumps offer faster heating and a higher rise in temperature. A pool heat pump professional can help you with proper sizing after considering factors like pool size, desired temperature, and wind exposure. In addition to the size, you should also consider efficiency, cost, warranty, and features of the heat pump, such as electronic controls, quiet compressor, and digital display. Pumps should be installed on a level platform. Installation involves space considerations, plumbing connections, and electrical work. It’s advisable to have a qualified pool professional do it for you. Our pool heating experts at Advanced Cooling Systems, Inc. would be glad to help you with choosing and installing the right heat pump for your pool. Call 866-827-7662 to make an appointment.